pintel Archive - Unlock all Secret Characters! 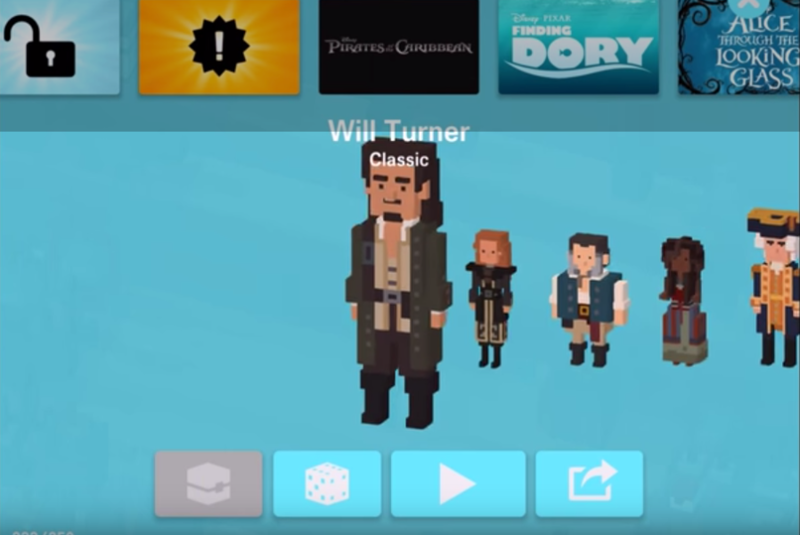 The new Disney Crossy Road July 2016 Update has just been released. Keep far from Davy Jones’ Locker by skillfully crossing the planks between ships and avoiding pirates, soldiers, donkeys, cats, pigs and those blimey cannon-balls. Arrr, ye might even see a mermaid or two! Collect 14 new figurines from the Prize Machine including Will Turner, Jack Sparrow, Davy Jones, Captain Barbossa—plus discover 6 secret unlocks! If you have any tips & tricks how to unlock Pirates of the Caribbean secret characters, please write us comments here! The set consinsts probably of Treasure Chest, Will Turner, Jack Sparrow, James Norrington and Elisabeth Swann. If you think differently, please write us comments here! The set consinsts probably of Will Turner, Bootstrap Bill, Hector Barbossa and Jack Sparrow. If you think differently, please write us comments here! Play as Jack Sparrow and find a Chest - A Cat Sound Apears and you will unlock the Stray Cat. Play as Will Turner (maybe other figurines from the new Pirates of the Caribbean Update work as well) and find her while Hopping around. Get him by completing Daily Missions. Complete the Outfit for Every Occasion set. Get caught by ghost sharks 10 times while playing as the character A Dead Men Tell No Tales. Find it while playing as the character A Dead Men Tell No Tales.